Do dreams ever come true? 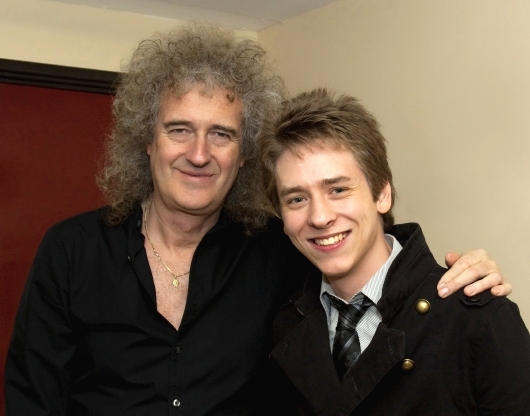 One of mine certainly did when the legendary Queen guitarist, Brian May, invited me to meet him before he went on stage at the Royal Concert Hall in Nottingham on May 8th 2011. After I had chatted to him for a while, he signed some items for me, and then my dad took this super photograph of us together! To top it all, the Anthems concert with Kerry Ellis was just amazing!! 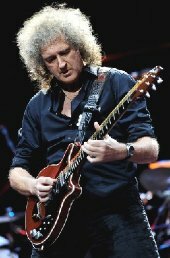 Brian Harold May was born in Hampton, Middlesex, in 1947, the only child of Ruth and Harold May, a draughtsman & electrical engineer. 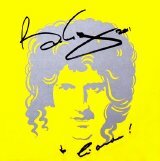 Brian attended Cardinal Road infants school, Hanworth Road junior school, and Hampton Grammar School. Already having shown a talent for the ukelele and piano whilst at infants school, Brian was given a Spanish acoustic guitar for his seventh birthday. his first band called 1984, named after the George Orwell novel. a cost of under £10! He used valve springs salvaged from a motorcyle engine to make the tremelo unit, a knitting needle and mother-of-pearl buttons! Brian attended Imperial College, London University, graduating with a BSc (Hons) degree in physics mathematics in 1969.
sanded, and then treated with many layers of plastic-based paint. 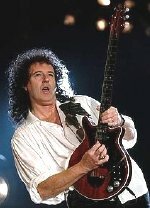 The result was the unique Red Special, which Brian May has since used throughout his career, including many of Queen's hit albums. He uses a specially minted sixpence, instead of a plectrum, to play his electric guitars. 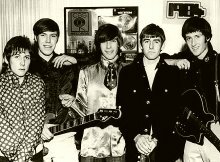 signed up to Mercury Records, but the record Company quickly dropped them after issuing one single called Earth and a few unreleased tracks. 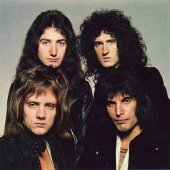 With their college courses completed, Brian May took up a post as a maths teacher at Stockwell Park Secondary School in London, whilst Taylor ran a clothing stall on Kensington Market! 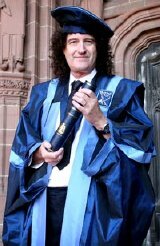 science graduate John Deacon, who joined them in 1971. 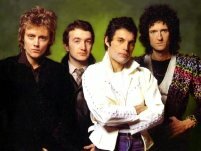 The band went on to enjoy continued success the world over, for nearly twenty years, until Mercury's death in 1991. 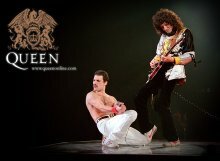 It was Mercury who designed their famous logo based on the star signs of the band - two lions, a crab and a virgin. on 13th July 1985, was voted "the greatest live performance in the history of rock music", by more than 60 artists, journalists and executives from the music industry. We Will Rock You; I Want It All; Fat Bottomed Girls; Who Wants To Live Forever; Now I'm Here; Save Me and Tie Your Mother Down. 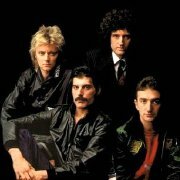 Freddie Mercury and Brian May wrote most of the songs on every Queen album although Taylor and Deacon also had songwriting credits. 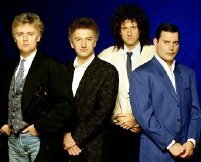 Queen have been honoured with seven Ivor Novello awards, and were inducted into the Rock and Roll Hall of Fame in 2001. 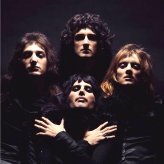 After Freddie Mercury's death in November 1991, the three remaining members of Queen set up a charity supporting AIDS relief, and then went their separate ways. 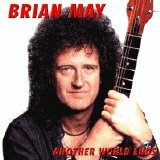 May formed The Brian May Band in 1992 whilst also recording and performing solo. were his first solo hit singles. 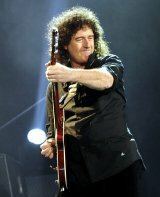 His last solo release was in 1998 after which he has performed solo, as part of a group, and occasionally as Queen with Roger Taylor. 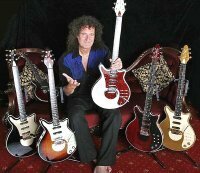 makes guitars modelled on his original Red Special guitar. After 1975, Brian also had several replica 'Red Specials' made for his own use, by Birmingham guitar maker John Birch. 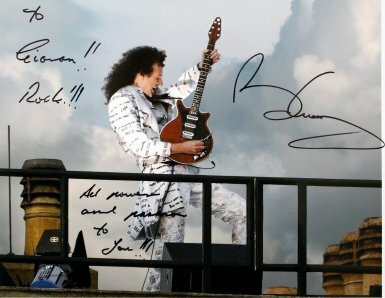 Brian has signed this photo to me, adding "all power and passion to you!!!!" 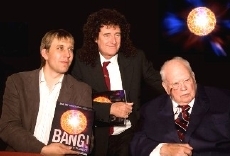 keen interest in Astronomy, Brian became a frequent contributor to the BBC's The Sky at Night programme, and has known its presenter Sir Patrick Moore for many years. 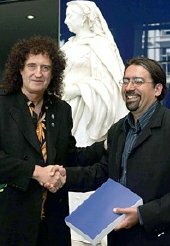 It was Patrick who continually urged Brian to complete his degree, and in 2007 he submitted his doctoral thesis on 'zodiacal dust clouds'. It gained Brian his PhD degree in astrophysics. and drove there and - wow! There it was." 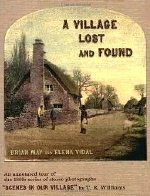 truly sumptuous book of 3-D photographs which you look at through the OWL stereoscope, a viewer specially designed by Brian himself. 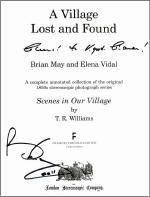 Brian appeared on The Titchmarsh Show in 2009 and told the fascinating story about this book (click here). 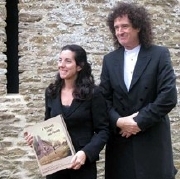 Brian May was Sue Lawley's first guest for the 2002 series of Desert Island Discs on Radio Four, choosing 8 records to take with him, alongside a book and an object. His book was Out Of The Silent Planet by C.S Lewis and his object was his Red Special guitar. Brian May has duetted with many other singers, but few more unlikely than the Italian tenor Luciano Pavarotti. 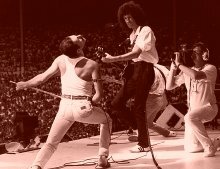 They sang the Queen song Too Much Love Will Kill You from the album Made in Heaven, at a concert in Modena in 2003.
hunting ban after the general election of that year. 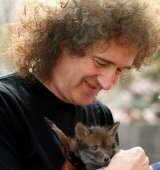 His work in this field won him the 'Campaigner Of The Year Award' by the International Fund for Animal Welfare, Brian being presented with this at the House of Lords in October 2010. Glasgow, Cardiff and Nottingham's Royal Concert Hall, where I saw their fabulous performance. 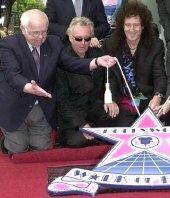 The great success of We Will Rock You led to Pepsi producing a commercial with Brian May, Roger Taylor & Britney Spears in 2003. 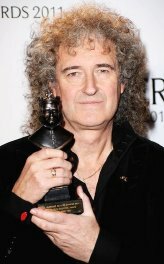 We Will Rock You also brought Brian an Olivier Award, for 'Most Popular Show' in March 2011.
from the University of Exeter, but also an honorary fellowship from Liverpool John Moores University where, in 2008, he was installed as the Chancellor, replacing Cherie Blair, QC. Emily Ruth (b.1987). The marriage ended in divorce in 1988. 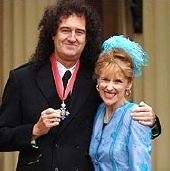 In 2000, he married the British actress Anita Dobson. They live in Windlesham, Surrey. 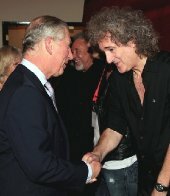 Brian May was awarded the CBE. (Commander of the Order of the British Empire) in the 2005 Queen's Birthday Honours List for his services to music. 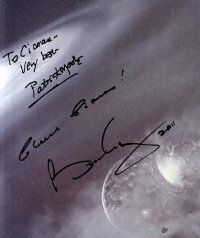 published in 2007. It even has its own website!